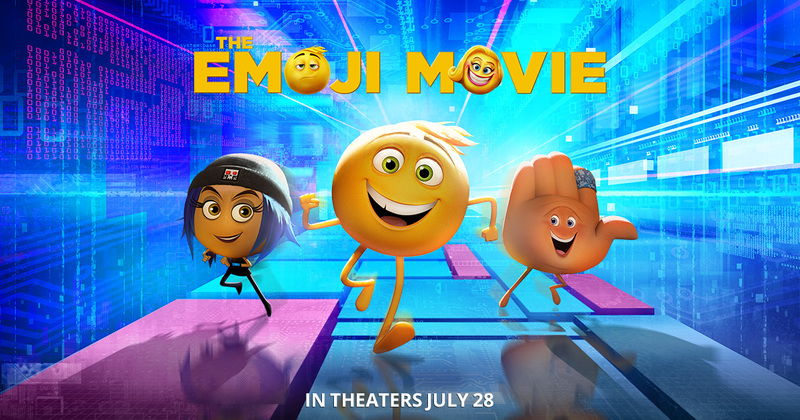 THE EMOJI MOVIE is the story of Gene, an emoji that lives inside a texting app on a teenagers smartphone…. THE EMOJI MOVIE is the story of Gene, an emoji that lives inside a texting app on a teenagers smartphone. In Genes world, each emoji has only one expression, but Gene is different — hes bursting with multiple expressions. Gene is worried that if he cant find a way to be normal, hell disappoint his family, or worse, be deleted. Determined to change his unusually expressive personality, Gene needs a code that will fix his programming and make him like everyone else. With the help of his emoji friends, Genes search takes him on a fun-filled adventure across the teenagers smartphone, from his home in a texting app through a succession of apps (including a gaming app, a music streaming app, a photo-sharing app, a video streaming app, a dance app, and a file-sharing app). Along the way, Gene finds the code he needs but he also learns being different from everyone else makes him special. In the end, Gene decides not to change to fit in, but to express all his feelings without reservations and be true to himself.